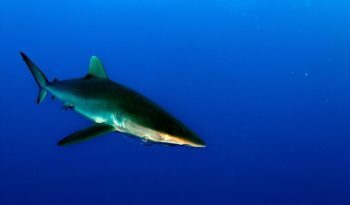 Hammerhead sharks are most common near Wolf Island and Darwin Islands in the north of the archipelago.Galapagos is one of the last remaining places where large schools of scalloped hammerhead sharks can be observed. 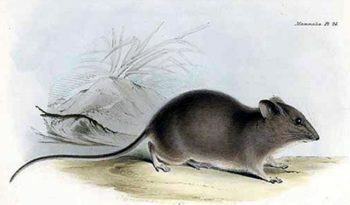 They can be observed cruising over reefs and boulder-strewn slopes. There are 9 known species of Hammerhead sharks that range from 0.9 to 6 metres (3 to 20 feet) in length. All the species of Hammerhead Shark have a projection on each side of the head that makes the sharks head appear like a ‘flattened hammer’, hence the name ‘hammerhead shark’. 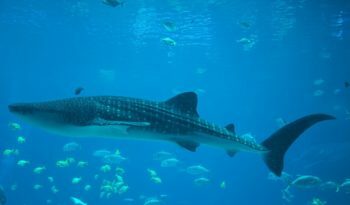 The sharks eyes and nostrils are at the tips of their hammer shaped heads. Hammerhead sharks are silver-grey to grey-brown in colour with white undersides. Like all sharks, the Hammerhead sharks have electrolocation (use of electrical impulses) sensory pores called ‘ampullae of Lorenzini’ (special sensing organs, forming a network of jelly-filled canals found on cartilaginous fishes). By distributing the receptors over a wider area, hammerheads can sweep for prey more effectively. These sharks have been able to detect an electrical signal of half a billionth of a volt. 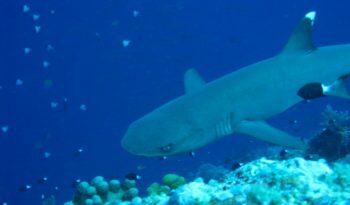 The hammer-shaped head also gives these sharks larger nasal tracts, increasing the chance of finding a particle in the water by at least 10 times as against the ability of other ‘classical’ sharks. It is suggested that hammerheads are among the most highly evolved shark species. Hammerhead sharks are aggressive predators, eating fish, rays, cephalopods and crustaceans. Hammerhead sharks have rather small mouths and seem to do a lot of hunting at the bottom of the ocean. 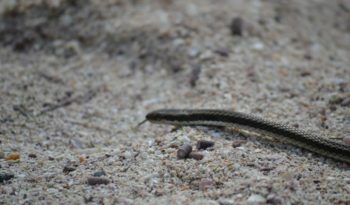 They are also known to form schools during the day, sometimes in groups of over 100. 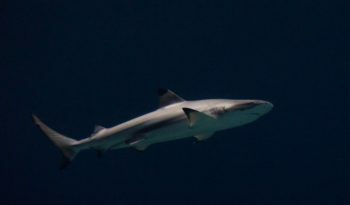 In the evening, like other sharks, they become solitary hunters. 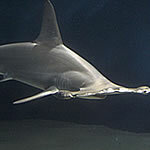 Reproduction in the hammerhead shark occurs once a year with each litter containing 20 to 40 pups. 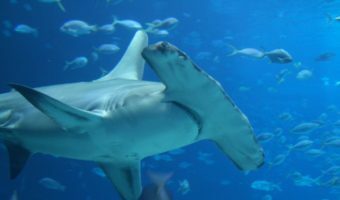 Hammerhead sharks are quite aggressive in courtship. The male will bite the female until she submits, allowing mating to occur. Unlike many other shark species, the hammerhead shark has internal fertilization which creates a safe environment for the sperm to unite with the egg. The embryo develops within the female inside a placenta and is fed through an umbilical cord, similar to mammals. The gestation period is 10 to 12 months. Once the pups are born the parents do not stay with them and they are left to fend for themselves. Hammerheads are the only creatures in the animal kingdom besides humans to acquire a tan from prolonged exposure to sunlight. Tanning occurs when a hammerhead is in shallow water or close to the surface for long periods!